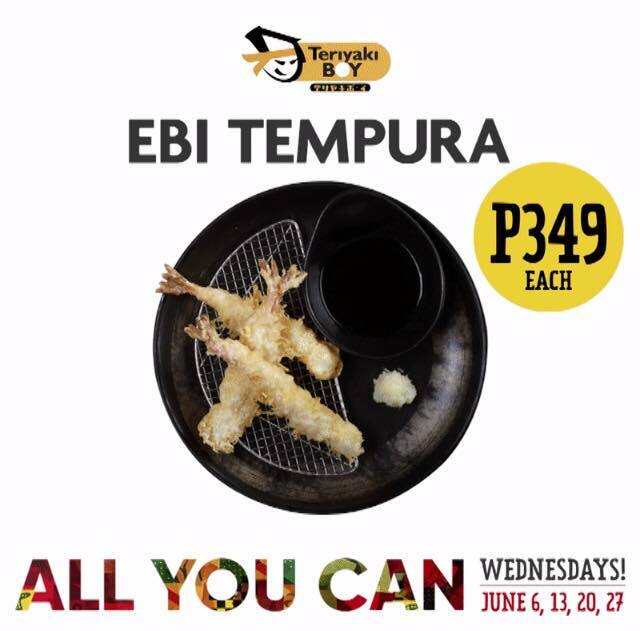 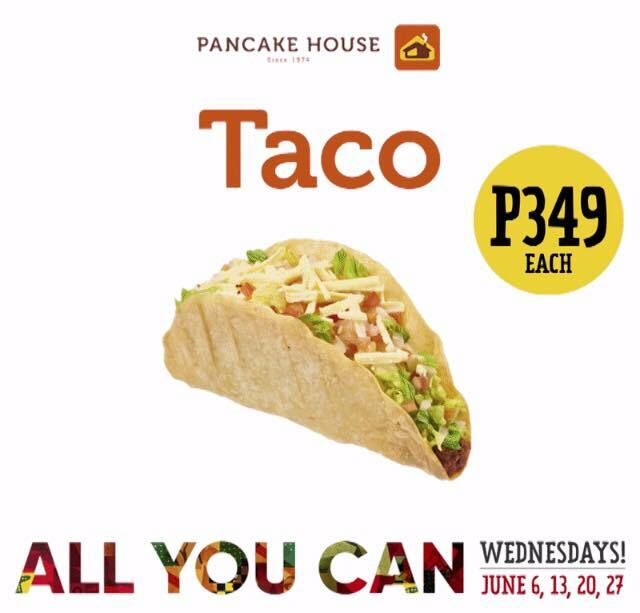 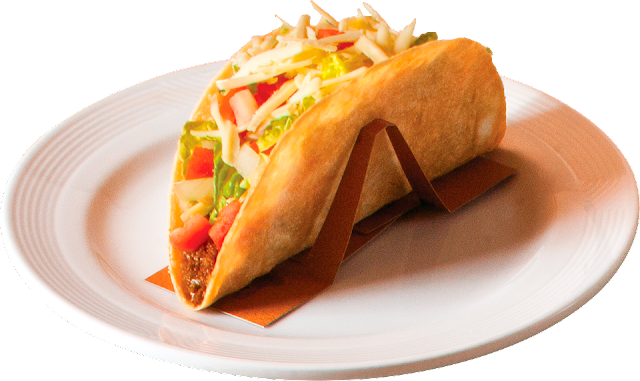 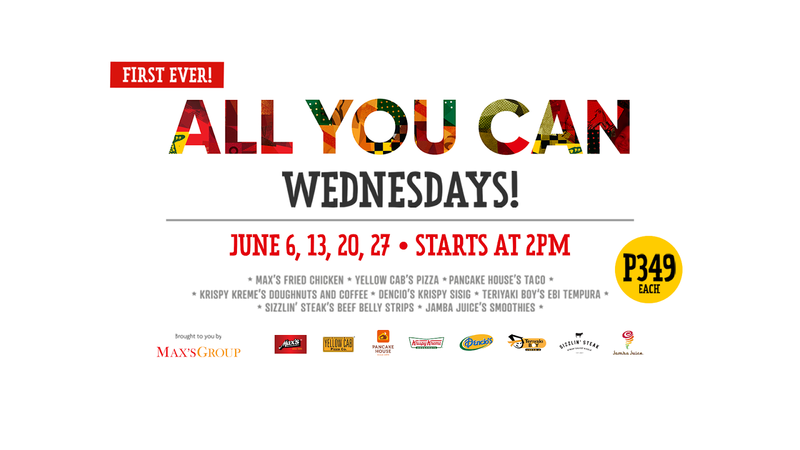 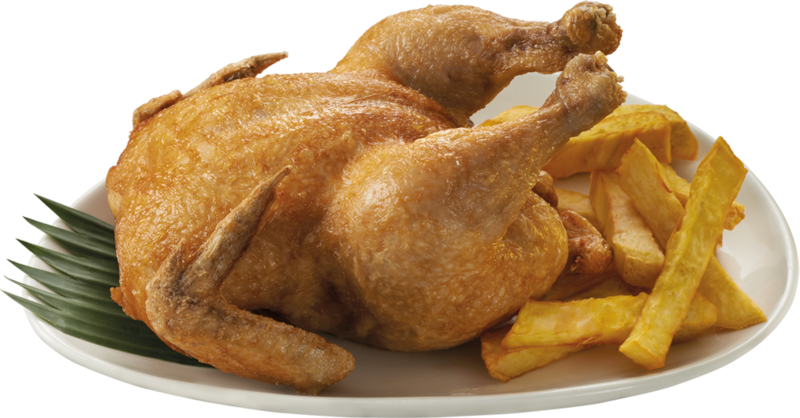 The Food Alphabet and More: Max's Group launches First Ever All-You-Can Wednesdays this June!!! 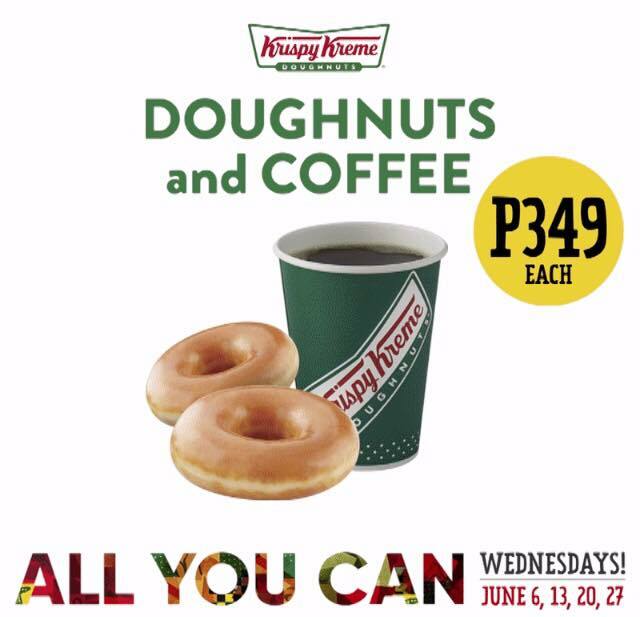 The Max’s Group All-You-Can Wednesdays promo will be available nationwide in over 600 participating stores on June 6, 13, 20, and 27, 2018 across eight of its brands from 2PM to closing. 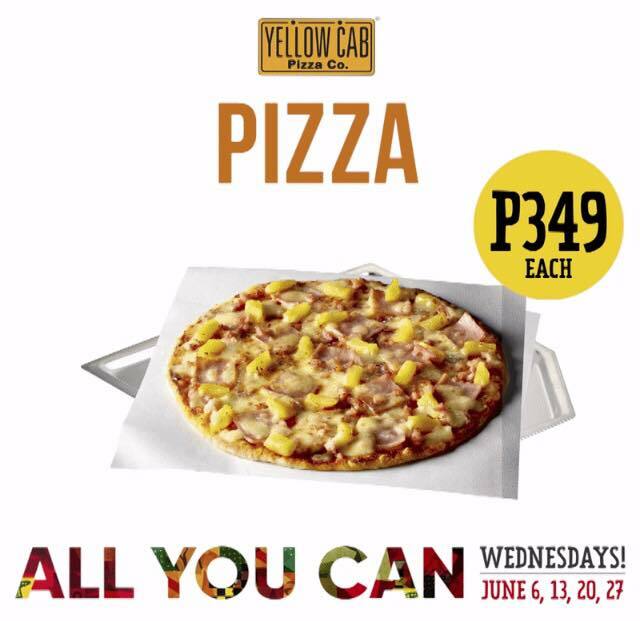 Yellow Cab’s All-You-Can Pizza offer will begin at 12MN in its 24-hour stores, and for the duration of its opening hours in other stores. 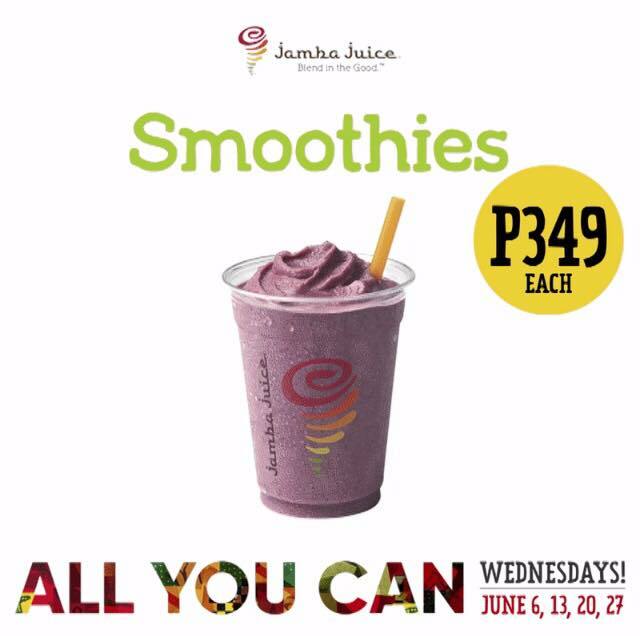 Jamba Juice’s All-You-Can Banana Berry Smoothie with 1 Reusable Metal Straw. 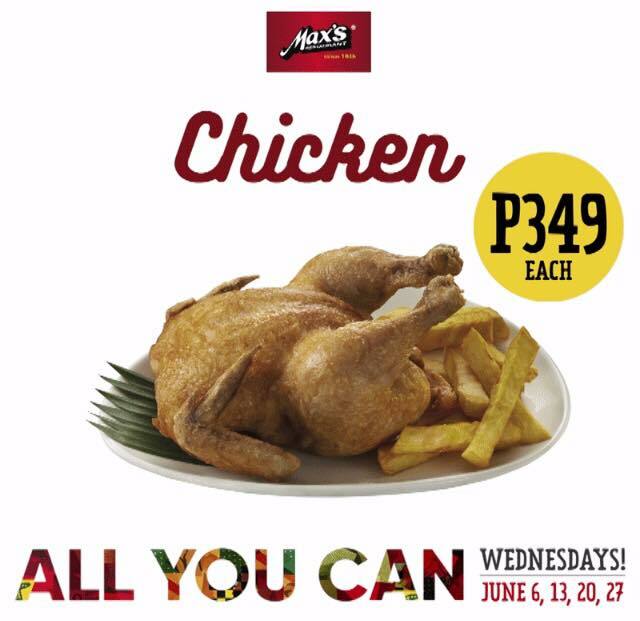 Be part of Max’s Group’s All-You-Can Wednesdays! 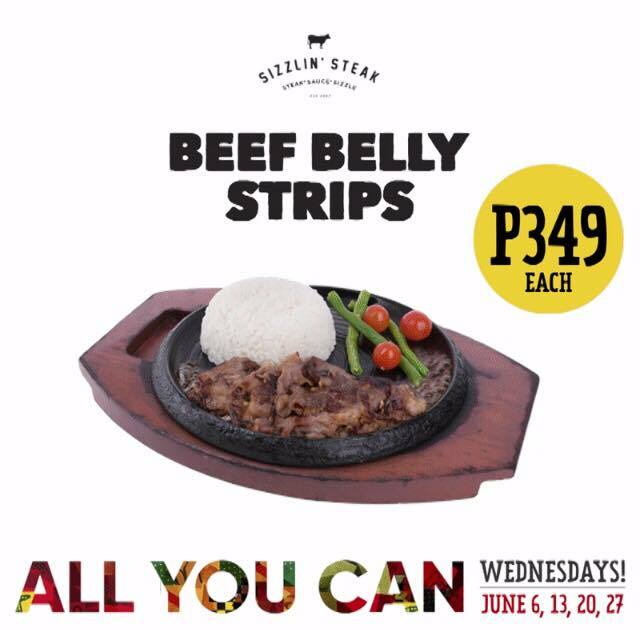 Head on to participating branches of Max’s Restaurant, Pancake House, Dencio’s, Teriyaki Boy, Sizzlin’ Steak, Yellow Cab, Krispy Kreme and Jamba Juice on June 6, 13, 20, and 27, 2018 and fill up with MGI’s delicious, refreshing, and delightful All-You-Can offers.